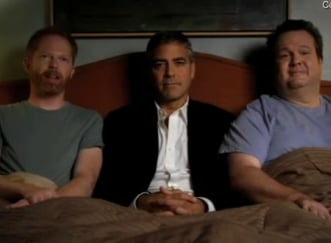 Emmy Video: George Clooney Hops in Bed With Modern Family! Who Should Win the Emmy For Best Supporting Actor, Comedy? Jenny McCarthy, Justin Bieber, Eva Longoria, and Kelly Ripa in This Week&apos;s Fun and Funny Celebrity Twitter Photos!